9 May 2018 Washington, D.C. The House Republican leadership is seeking to stop a vote on an amnesty for more than a million illegal aliens. Fifteen pro-mass immigration Republican lawmakers signed onto a “discharge petition” that would give Democrats the power to pass an expansive amnesty for millions of eligible and enrolled illegal aliens on the President Obama-created Deferred Action for Childhood Arrivals (DACA) program, as Breitbart News reported. I’m not a believer in discharge petitions because you’re turning the floor over to Democrats. I hope the discharge petition doesn’t get the signatures and we continue to work the legislative process to solve this problem. The move to force a vote on a DACA amnesty — which would come at the expense of America’s working and middle class — is an effort by the pro-amnesty wing of the GOP to move an amnesty to the Senate for approval. A vote in the House on amnesty could also be considered a plan to expose which Republican and Democrat leaders are for amnesty for illegal aliens ahead of the 2018 midterm elections. Likely midterm voters are overwhelmingly supportive of reducing legal immigration levels and prioritizing a reduction of immigration to the U.S. In a poll this month, immigration ranked as the biggest issue for GOP midterm voters, surpassing the economy, repealing Obamacare, and tax reform. 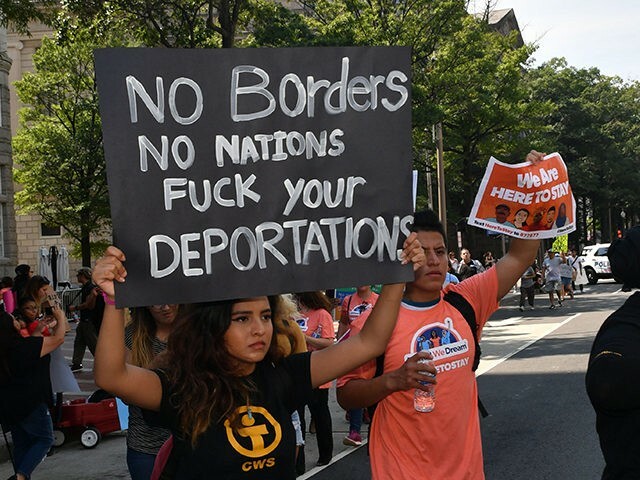 Another poll found that nearly 70 percent of GOP likely midterm voters want legal immigration reduced to anywhere between zero to 250,000 admissions a year, a major reduction to current mass immigration levels that have led to poor job growth, stagnant wages, and increased public costs to offset the importation of millions of low-skilled foreign nationals. The pro-mass immigration GOP megadonor billionaire Koch brothers have previously threatened GOP lawmakers to withold funding and donations for the midterm elections if a DACA amnesty is not supported by the majority of Republicans in Congress, as Breitbart News reported. While the GOP establishment and the Koch brothers continue to push a DACA amnesty, both factions refused to support President Trump’s legislative effort months ago that sought to allow only enrolled DACA illegal aliens to remain in the U.S. while at the same time cutting legal immigration levels in half to raise the wages of American workers.